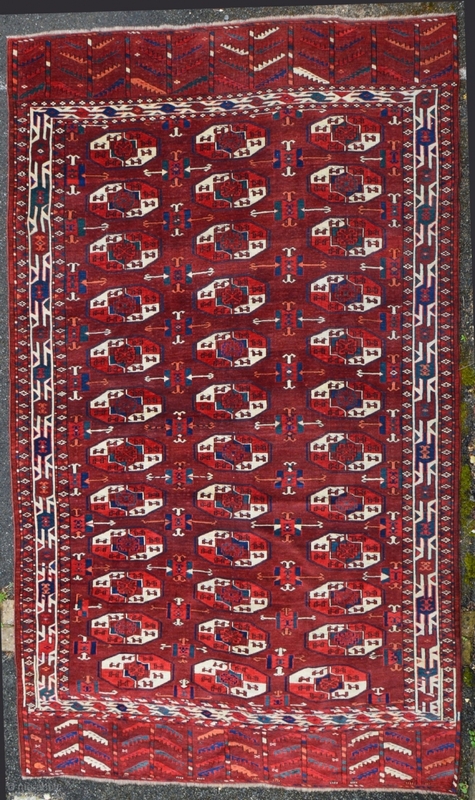 Antique Yomut Turkmen main carpet by the Igdyr sub tribe. Turkmenistan, Central Asia. www.knightsantiques.co.uk Size: 9ft 4in x 5ft 7in (285 x 170cm). 19th Century. 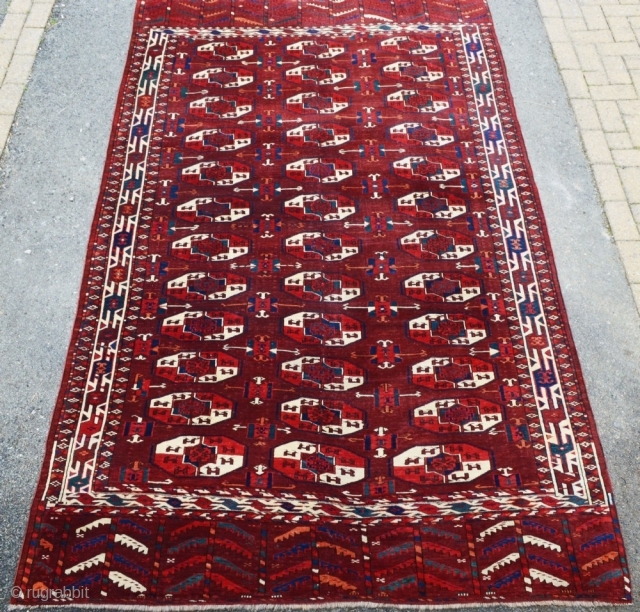 The carpet has a rich aubergine ground colour with blues, greens, apricot ivory and yellow. The boarder is a very well drawn example of a classic Yomut design. 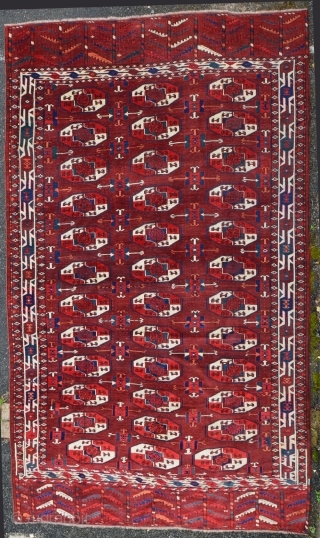 The carpet is of a rare format with three rows of twelve 'tauk-nauska' guls. The minor gul is of a very scarce and unusual form. The elems at both ends are decorated with large Turkmen trees. The carpet is in outstanding condition with very slight even wear with full pile. This is a highly collectable carpet in outstanding condition with wonderful colour. The carpet has been hand washed and is ready for use or display. Stock Number: h-167.